Today I have a very exciting plugin to try! It is called the Gullfoss. It’s a very forward thinking plugin which wasn’t designed around any traditional kind of EQ. It’s an intelligent plugin that identifies frequencies that are either lacking or being masked by other frequencies OR it takes out frequencies that are too high or that are interfering with other stuff! It’s an incredibly intelligent plugin that in real time will listen to your track, either on your master bus or individual elements, and decide what needs boosting and cutting! On top of that, you can shape it, so it’s not just a dynamic kind of tool. In many ways, it’s far superior to a multi band compressor because it is looking at 20 – 20k. It’s looking at the whole frequency response, the whole time! On top of this being an amazing plugin, our friends over at Soundtheory were gracious enough to give us 3 copies of the Gullfoss to give away to YOU! What I like the most about this plugin is the fact that it’s very 21st century, it’s very forward thinking, and it’s not relying on old ideas! Don’t get me wrong, I’ve got an SSL, Pultec’s, and old emulations, but I do like the idea of taking all the information that we’ve acquired over the last 80 years (or so) of recording music and apply it in a more forward thinking way. I can definitely see myself using the Gullfoss more and more to identify issues and solve them, and as I get used to these controls, I can see myself using them to mix quite effectively. 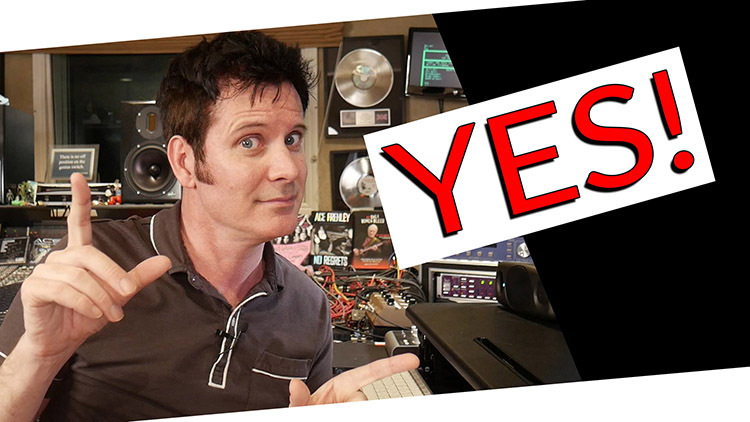 Head over to Soundtheory.com to learn more, listen to before/after examples, and trial the plugin!